A little over a week ago I was invited to Copenhagen together with Philips TV and Georg Jensen to celebrate the launch of the new design collaboration. 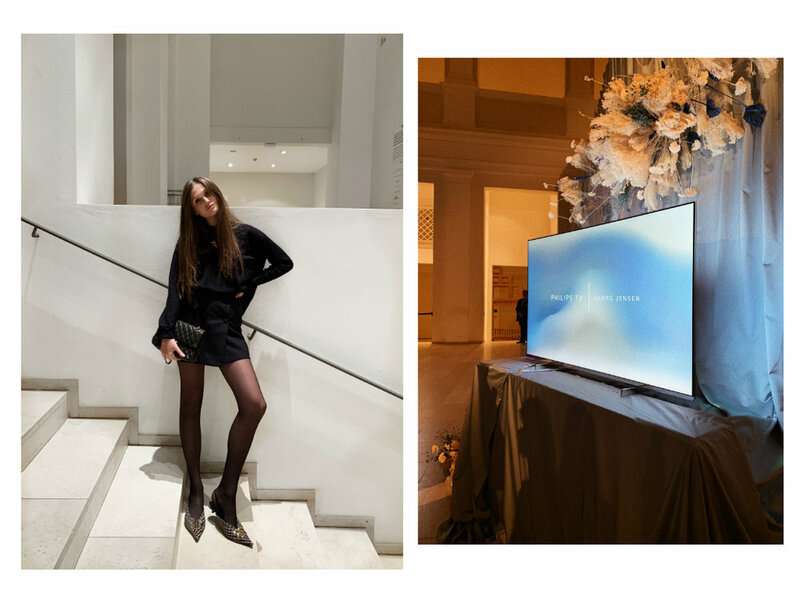 The first evening we were invited to an intimate dinner and pre view of the new TV, hosted by Pernille Teisbaek and held at the wonderful Statens Museum for Kunst. Philips TV and Georg Jensen, together with Pernille Teisbaek welcomed us with a three-course dinner, before previewing the latest collaboration. Throughout the course of the evening Pernille took the stage to entertain us with a Q&A with Rod White head of Design at Philips TV and Nicolas Manville Senior VP of Merchandising and Design at Georg Jensen. The next day we went on a museum tour in Copenhagen guided by Pernille with stops at Studio Oliver Gustav, Etage Projects and Thorvaldsens museum. I felt so filled with inspiration for the home after this! After the tour we went on to the Georg Jensen headquarters for lunch and a visit in their design studio. We got to watch everything from iconic pieces from the archives to the brands most current collections and once again I fell in love with the Halo collection. Thank you Philips TV, Georg Jensen and Pernille for having me!